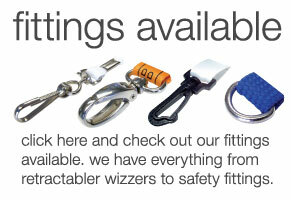 At Lanyards Factory, we offer corded lanyards that offer outstanding wear, excellent visibility for your brand and a clear, classic look that is not only cost effective, but effective in what they’re for. Corded lanyards are designed to be strong and they can be made in a variety of lengths, colours and styles, which gives you the added flexibility to choose the right corded lanyard. If you don’t know how to get the right colour combination or how your brand name will look on the corded lanyard, we offer a free design service that will knock your socks off! Narrow corded lanyards look great at any corporate event, and they’re a great way to introduce a little security in the office. 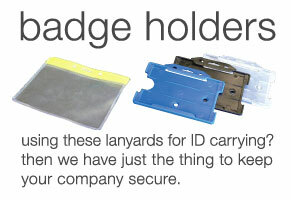 You can have lanyards that are long, or you can choose short release corded lanyards with a variety of material widths to give you a larger branding zone. Colours range from white to black on the colour spectrum, but you don’t have to go with just the one colour. Mix them up and go as bold as you like; our corded lanyards can make you stand out - which exactly what you want for your brand. Be seen and get noticed with your name around your neck, and you can stand out. Putting your ID credentials on display makes you a person who can be trusted in the eyes of those who are looking to buy from you. 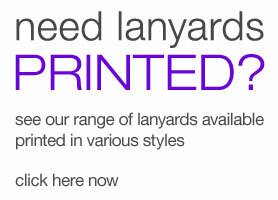 When they ask you where you got your awesome corded lanyards from, remember Lanyards Factory!